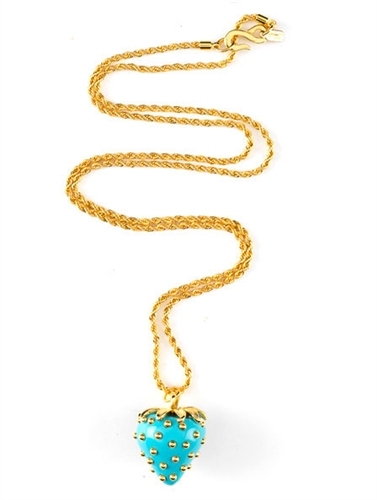 Turquoise colored strawberry Shaped pendant. Kenneth Jay Lane necklace has gold-tone pips and a gold chain with shepherd's hook fastening at back of neck. Electroplated 18k gold.